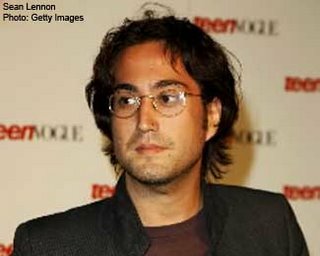 Sean Lennon has hit out at critics who expect him to be exactly like his dad, the late Beatle John Lennon.The young musician, who is preparing to release his new album Friendly Fire, resents expectations that he should make the same music as his late father.He says, "What bothers me is when people don't know how I feel, but are looking at me anyway. That's what makes me uncomfortable, being in the public eye. People are projecting this idea on to me, like, 'I hate that Lennon kid. He should be like his dad.'" Songs on Sean's new album was inspired by his break-up with singer/actress Bijou Phillips. He tells, "I have to say that I never have issues with putting out songs that are personal. I have this innate thing that I don't care."